We want to work with you to get the best experience for your students and young people. There are many ways Squallis can engage and collaborate with students. 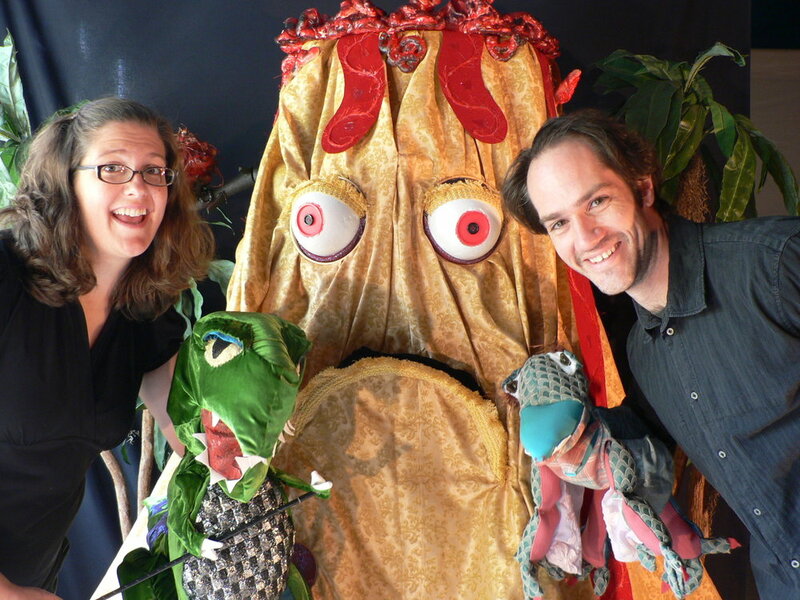 We offer assembly and classroom sized puppet performances with appropriate subjects for pre-K through 8th grade. Most shows are fun, educational, and run 30-40 minutes in length. Workshops and demonstrations can also be brought into the classroom and customized to fit the school schedule. Visit the touring shows and workshops pages for more specific details. The bookings tab at the top of the page offers some basic pricing. If you are at a Title One school in or around Jefferson County we might have funding to offer you programming for free or at a reduced cost. And there are local opportunities such as the Fund For The Arts 5x5 and Tag grants to subsidies our visit. We have a roster of touring shows to fit a variety of ages. Our puppet performances engage children with fun and thought provoking stories and characters. Deepen the experience of a performance by challenging students of any age to create their own character, and bring it to life. Spectators of any age are always curious to see how things work. Our philosophy is built on encouraging everyone to make and perform. Let us show you how we do it.